A year after Governor Charlie Baker proposed the Act to Promote Housing Choices, it remains in limbo on Beacon Hill. Governor Charlie Baker’s Act to Promote Housing Choices looks like a modest proposal. It would allow municipalities to change some zoning rules with a simple majority vote, instead of requiring — as state law now does — two-thirds of a local government’s council or town meeting to agree. The goal is to spur more home construction, especially in places that have built little in recent years, even as the region’s housing shortage hinders the economy. Every major real estate and housing group in the state backs the bill. The Massachusetts Municipal Association, which represents all 351 cities and towns, has signed on. But a year after Baker pitched the change, it remains in legislative limbo, having fizzled at the end of the formal session this summer. Now its backers, including Baker, are trying to move it through informal sessions — when a single “no” vote can torpedo a bill. They hope to get the change on the books in time for next spring’s round of town meetings. The slow pace highlights how hard it is for the state to make even limited changes in housing policies fiercely protected by cities and towns, housing advocates say. Zoning laws, particularly in the suburbs, often prohibit the denser housing that is needed to make homes more affordable. Efforts to change the rules have failed on Beacon Hill many times. With the Housing Choices bill, Baker is trying to offer a compromise. He would make it easier for municipalities to change their zoning — key to his plan to add 135,000 homes by 2025 — while preserving the local control that many residents and local elected officials value. The shift to a simple majority may not sound like a radical idea — it’s the margin required to pass most measures at the local level. But two-thirds approval has long been state law for zoning changes. As a result, many proposed developments — even those with substantial public support — wither because they can’t muster those extra votes. The bill that went nowhere in the legislative session that ended in July was backed by an expansive coalition. Everyone from home builders to affordable-housing groups to the powerful Massachusetts Municipal Association — which has long resisted bills that override local zoning rules — lobbied for it. But sensing a rare opportunity to pass housing legislation, some lawmakers and advocates pushed for amendments to the House version of the bill — measures that had already been passed by the Senate — to boost construction of apartments and condos with denser footprints. The more complicated bill died amid the end-of-session rush. 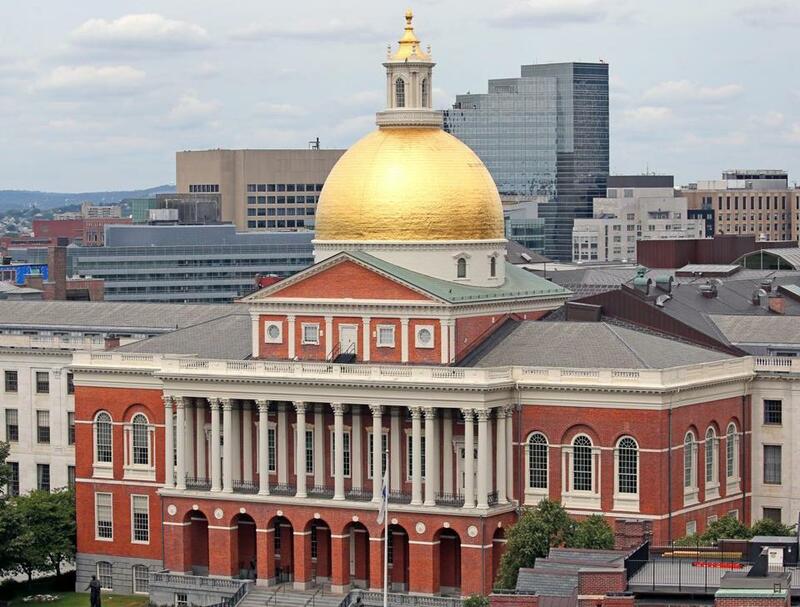 Since then, Baker’s office, Honan, and other backers have been talking about passing a “clean” version of the Housing Choice bill — one without any amendments — during informal sessions, which run through the end of this month. But with the rules allowing for a single lawmaker to block passage, it’s a tough path to navigate. Last week, as word spread of a renewed push for the Housing Choice bill, Representative Mike Connolly, a freshman lawmaker from Cambridge, threatened to stop it. In a letter posted on Twitter, Connolly pointed to other stalled legislation that would boost affordable housing and protect renters facing eviction. He urged full debate of a comprehensive housing bill that might include more than a change of zoning votes. In an interview, Connolly said he generally supports the Housing Choice law, but it shouldn’t be the only housing-related legislation on the table. Still, Connolly wouldn’t say he’s immovable. The letter has sparked “a lot of discussion,” he said, including talks about a “clean vote” on the Housing Choice measure, coupled with a promise to take up broader housing legislation when lawmakers return in January. Housing advocates, too, sound receptive to a deal but stressed that a vote on the Housing Choice bill should be the start, not the end, of housing legislation on Beacon Hill. That concern was echoed in the Senate, which has passed broader housing bills as recently as 2016. Senator Joe Boncore, cochair of the Housing Committee, said lawmakers would probably consider the Housing Choices bill, but he included a caveat. Tim Buckley, a senior adviser to Baker, wouldn’t commit to any particular proposals for next year but said the administration would listen to all ideas. Solving big issues often takes several small bills over time, he said, and this one is a good start. Honan, too, said he is optimistic a deal can be worked out.